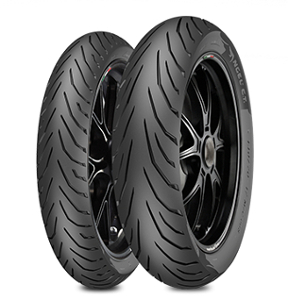 Motorcycle tyres are offered for different segments: There are cruiser and scooter tyres, touring and racing tires, cross and trail bike tyres. On giga-tyres.co.uk you can choose from a wide range of products from multiple manufacturers and benefit from free shipping. Unlike passenger car tyres those for motorbikes must be warmed up first before they reach their full potential. Tests of automobile clubs and journals provide information about these and other criteria of a motorcycle tyre and should be included in the purchase decision. Finally, it is an enormous cost factor when a tyre needs to be replaced soon. Do not spoil the ship for a ha'porth of tar - giga-tyres.co.uk offers motorcycle tyres at bargain prices.